Note to aspiring CEOs: If your company is staggering under massive debt, don't orchestrate an $11 billion accounting fraud to try to cover it up. It doesn't' work. Bernie Ebbers turned WorldCom into the nation's second largest long distance telecommunications company through a series of rapid acquisitions that left it heavily in the red. In 2002, the Mississippi-based company admitted to improperly reporting $3.8 billion in expenses, prompting Justice Department to open a criminal investigation into its business practices. The Securities Exchange Commission, meanwhile, focused on $400 million that WorldCom personally loaned Ebbers. WorldCom eventually filed for bankruptcy, and its stock price tumbled from $64 per share to a little over $1. 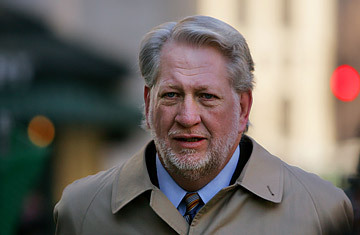 Ebbers' "I had no idea what was going on" defense didn't work; he was convicted of securities fraud, conspiracy and seven counts of filing false reports with regulators. Ebbers is now serving a 25-year sentence in a minimum-security Louisiana prison. Update: Gregory Reyes, former CEO of Brocade Communications Systems, has been removed from this list after his conviction on charges of backdating stock options was thrown out by a Federal appeals judge in August 2009.